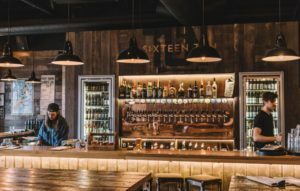 Large cities/towns aside, New Zealand has a plethora of craft beer destinations to explore, all around this great country. Whether it be in the far south of Invercagill, the ski fields of Queenstown, or the Bay of Islands in the North. Some of the countries best craft beer destinations, can be found off the beaten track, on the road less travelled. Outlined below, is a handfull of the venues we’ve discovered.